This Fourth Generation ranch was established by J.O. and Lena Ernest Selman. J.O. 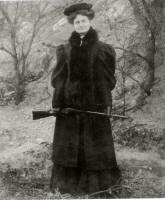 and Lena both came to Northwest Oklahoma in the late 1800's. Lena's family came from Missouri in a covered wagon settling near freedom. J.O. came from a somewhat famous family in Texas. His Uncle John Selman, a lawman in Texas, killed the infamous gunfighter John Wesley Hardin. J.O. ran away from home at the age of fourteen, joining the Tandy cattle drive that brought him to Oklahoma. He was known as "Jimmy Few Clothes", because all he had were the clothes on his back. J.O. proceeded to build a small ranching empire of over 65,000 acres. Robert (Bob) E. Selman, J.O. and Lena's son, along with his wife Wilma, cultivated the ranch we now operate here on the Buffalo Creek and the West side of the Cimmaron River. Near the Cimmaron is the old ghost town of Salt Springs where local legend has it that the last bank robbery on horseback occurred. Today the Selman Ranch Lodge is operated by Robert (Bob) Selman's daughter, Sue Selman with the help of her three grown children; Scott, Amy and Coli. One of Sue's greatest passions is preserving the land and wildlife she grew up with. We want to share that with you. Due to the size of the ranch, the diverse terrain and the tranquility of the quiet countryside we are blessed with an abundance of wildlife, big sky and beauty. We have converted Great Grandma Cowan's home (the old Railroad depot from Selman, OK) into comfortable lodging for our guests. Sue's busy schedule includes making sure the Ranch is maintained, but she also raises a small heard of sheep. Her love of gardening keeps her very busy and she sits on the Farmers Market board located in Woodward, OK, where she also sells homemade jellies, pesto and of course Lamb. Sue is also a member of the Oklahoma Wildlife and Prairie Heritage Alliance (www.owpha.org). An organization that developed the W.O.W. trial in Oklahoma. Spring, Summer and Fall Sue welcomes eco-tourists, bird watchers or photographers and many different academics. In the Fall and Winter months the lodge is operated by our guides and their clients for wildlife management. 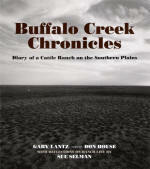 For more information about The Selman Ranch you can order "Buffalo Creek Chronicles". 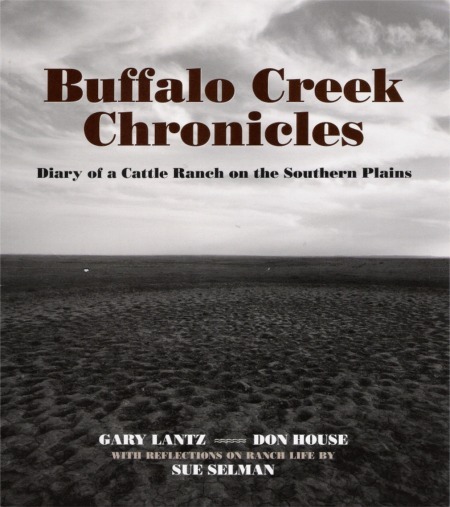 Wonderfully written by Gary Lantz, Beautifully photographed by Don House and containing an empowering reflection of ranch life by Sue Selman. Together they created an astounding picture of the natural and human history of the Selman Ranch. Click here for more information or to get your copy. Click here for more information on how to purchase the book about our ranch.